What are Crepe, Cohesive, Adhesive and Compression Bandages? 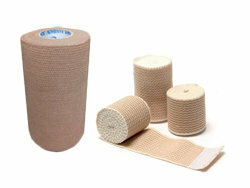 A cohesive bandage is also known as a self adhering bandage. 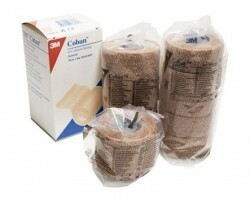 A cohesive bandage adheres to only itself and does not adhere well with other surfaces. 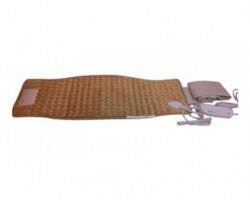 It is a popular bandage as it provides compression without sticking to human skin and hair and is thus easier and less painful to remove. 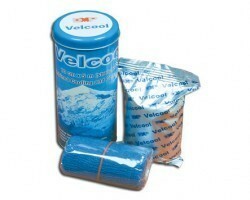 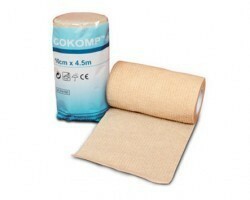 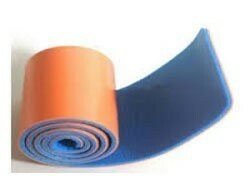 Cohesive bandages have wide applications for sportsmen and are commonly used around ankles, knees, wrists and elbows. 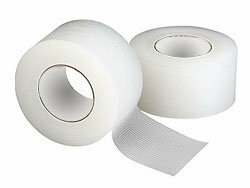 An adhesive bandage is a strip of gauze roll for wrapping any part of the body. 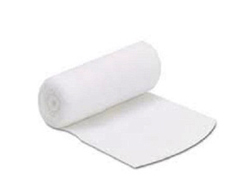 They are used for a variety of functions â€“ stop the flow of blood, absorb drainage, cushion an injured area, placement of a medicated dressing and to immobilize a body part that has suffered trauma. 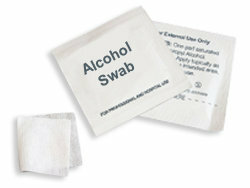 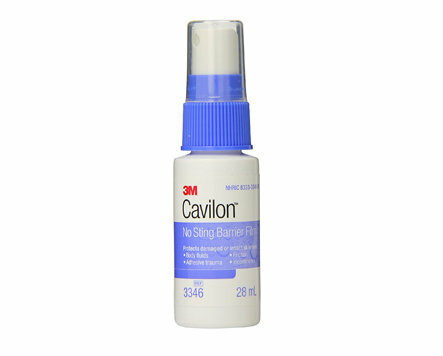 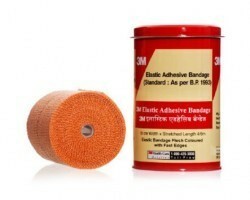 Adhesive bandages are generally not applied directly on a wound. 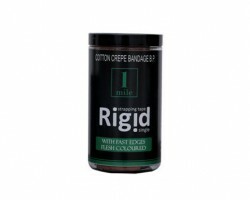 Moreover, the degree of tightness with which an adhesive bandage is worn should be controlled so as to not impede blood circulation. 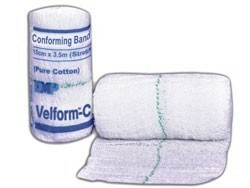 Compression bandages are of 2 types â€“ short stretch and long stretch. 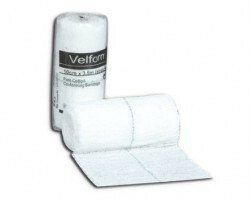 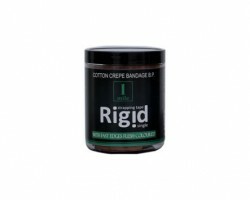 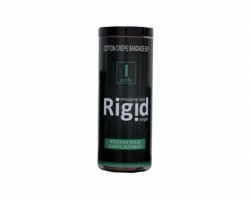 Compression bandages use compression to reduce the blood flow to an affected area and find applications in controlling edema and in the reduction of swellings. 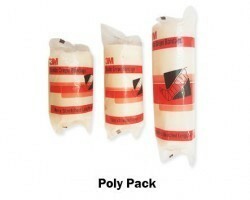 What should one look at while buying crepe, compression, adhesive and cohesive bandages? 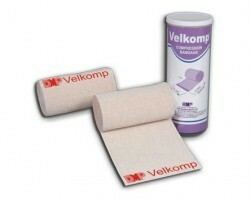 A large variety of Crepe Bandages for ankles, knees, feet, etc. 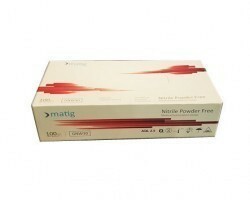 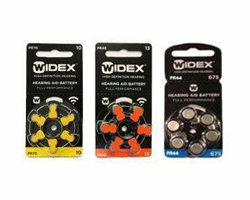 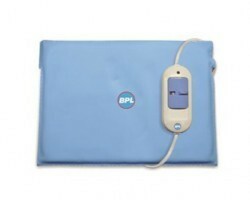 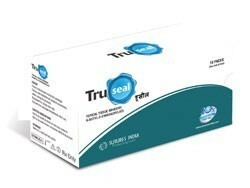 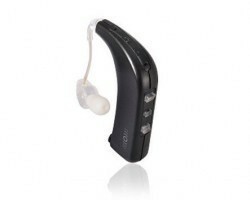 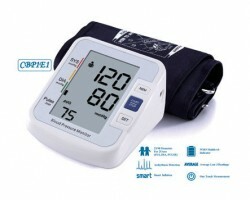 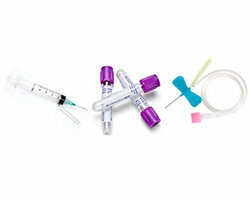 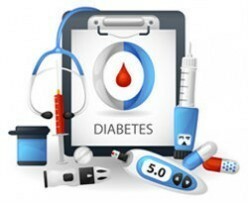 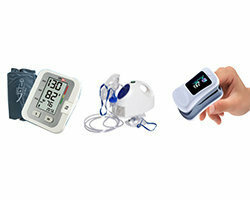 are available at attractive prices on Smart Medical Buyer. 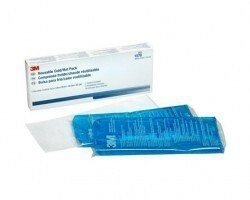 Brands that are available on SMB include 3M, Dr Sabharwalâ€™s and Datt Mediproducts. 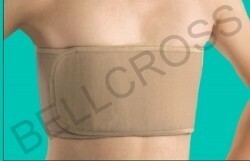 Crepe Bandage with Velcro closure as well as clip closure is also available.Â Over 15 variants of bandages can be purchased on our portal. 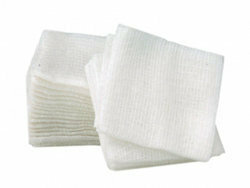 We offer crepe bandages in multiple sizes including â€“ 5cm * 4m/ 4.5m, 6cm * 4m, 7.5cm 8 4.5m, 8cm * 4m, 10cm * 4m/ 4.5m and 15cm * 4m/ 4.5m. 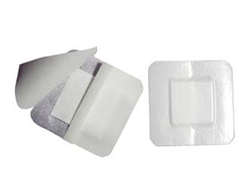 As a hospital, nursing home or primary care centre, you can buy crepe bandages small and large quantities on Smart Medical Buyer at the lowest prices available online in India.